What’s Going to Happen to the Service Market? 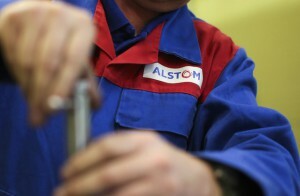 GE considers buying Alstom but so is Siemens. What’s going to happen to the service market? Power plants are aging as we speak, so the service market is attracting the attention from different service providers. Posted in General – Turbomachinery, Industry, Power Generation, RedesignTagged Alstom, GE, merger, power generation, retrofits, service market, Siemens, turbomachinery newsLeave a Comment on What’s Going to Happen to the Service Market?